This is a good reminder: change can be fun or exciting. Change isn’t always bad. To add my own opinion to Mike’s excellent post, change is how we grow. If we don’t change, that is death. It is stasis that we should fear!!! If you are a person who helps others to embrace or live through change (whatever your interpretation of change is)…. … consider the damage you are causing by inspiring fear where it simply may not be appropriate or necessary. “Improv-ing Your Scrum Team” was the title of the webinar given by Paul Goddard, a CST and Coach from the UK with a background in improvisational theatre. He has written and coached extensively on the use of improvisation to help Scrum teams develop. Because of my own experience in teaching and creating theatre, I was eager to see how Mr. Goddard used improv to improve Scrum teams. For clarity’s sake, we can describe improvisation, in theatrical milieus, as the act of making things up as you go along. Improvisers are normally people who know their discipline very well, and are able to allow their creativity to take them into new places, new expressions, in their art. The improv themes Goddard covered that can be used with Scrum teams were: creating safety, being spontaneous, telling stories, changing status and increasing sensitivity. In an interesting aside, he also compared myths of Agile to myths about Improv, for example, that Agile is only about creating software, and Improv is only about comedy. Another myth is that Agile and Improv are about unstructured chaos, whereas both prescribe being disciplined within a framework. Goddard described the Scrum framework as “a lightweight structure that uses constraints to unlock creativity;” improv also provides such a structure. Improv starts with “creating safety.” Since it is impossible to improvise alone, we must learn to trust others. This involves a team behaving as a family who rescue each other if necessary. There are no mistakes in improv; team members work for each other. When we try too hard in improv to get it right, it becomes a struggle to feel safe. Ultimately, we should be able to feel safe whether we win or lose, and definitely we feel safe when we PLAY. The second theme is “being spontaneous.” Spontaneity is the ability to act on impulse as soon as an idea occurs. This is the bread and butter of creativity. We are less spontaneous when we filter or edit our ideas before trying them out. We usually do this filtering because we fear our ideas being deemed crazy, or obscene, or unoriginal. Good improvisers increase their spontaneity by giving and receiving offers from team members. Offers are the currency of improv: you go with an idea, build on it, and keep a scene going. Bad improvisers put up blocks, that is, they reject ideas, and a scene goes nowhere. Goddard tells us that the power of storytelling lies in the fact that many parts of the brain get activated: empathy is increased, oxytocin hormone and cortisol is released when we feel empathy for a character, and so on. Conversely, the brain switches off ideas or stories that are cliches – things we’ve heard too many times before and are inured to. The beauty about stories is that they make dry data more human and therefore interesting. Status always exists, especially in business environments. Some jobs or roles imply having a higher status, i.e. Scrum Master. If physical power poses adjust the hormones in our bodies, as Goddard claims, then the opposite is also true. In improv, playing high or low status and then changing it becomes a dynamic and creative game. It assists in collaboration. Low status players in improv tend to accept offers from their fellows; high status tend to refuse offers, unless they can control them. Scrum teams can learn to play with status to collaborate more effectively. Great improvisers develop certain qualities: selflessness (they want to make others look good), listening, observation, recollection/ memory, and emotional awareness (ability to pick up on cues). They are able to be “fully in the moment.” Goddard describes this as “thinking inside the box,” i.e. with safety established, the ideas are already there. Just as in an improv team, a Scrum team’s firmest foundation is trust. How can one introduce improv and its beneficial themes to a Scrum team? Start with the idea of a game. It’s not about performing. It’s simply about having fun together, getting to know each other, learning common values, shaking off the dust of work-related responsibilities and allowing time for play. If you’re working with introverted types, allow that person to opt out. Make sure no one is judged. It’s important to be able to joke and feel like a family. Even a non co-located team can play word games over the telephone. I look forward to trying out some improv with my own team, and, hopefully, in the future with others. For a more in-depth understanding of the use of improv see Paul Goddard’s book “IMPROV-ING AGILE TEAMS” available at www.amazon.ca. Nearly everyone is hanging out the “Agile Coach” shingle. Agile has reached the point where many large organizations are adopting Agile practices. As a result, consultants and consulting companies are trying to jump on the bandwagon to take advantage of this fad. Unfortunately, we at BERTEIG are often being called in to clean up after other Agile coaches have made a mess of things. Here are the most common mistakes that organizations make when hiring Agile coaches. Agile coaches should be able to measure their results as they work with your teams and your organization. Important measures include performance, cost, quality, time to market, customer satisfaction and others. If you aren’t measuring results, you can’t possibly know if the money you are investing into your Agile coach is worth it. Of course, some qualitative measures such as staff satisfaction with the coach are useful too, but quantitative measures are also essential. You need to be able to know if an agile coach is making a difference. Knowing where you are starting is necessary. Having benchmark measurements of important KPI’s will help you to make sure that your agile coach is successful. Benchmarking is something that your agile coach should be able to help you with, but make sure that you are involved directly! Agile coaches need to have proven their knowledge and experience by obtaining advanced certifications. A “Certified Scrum Master” designation is just not sufficient. At a bare minimum a Certified Scrum Professional (CSP) or Kanban Management Professional (KMP) certification are critical. However more advanced certification’s such as Certified Enterprise Coach (CEC), Kanban Coaching Professional (KCP), or even non-Agile coaching certifications such as Leadership Circle Profile are important to see in a candidate. An Agile coach must be able to prove having worked with at least Scrum and Kanban methods on more than one team in more than one organization. However, there are many other Agile methods and techniques, and it is critical to explore the depth of your candidate’s knowledge and experience with those techniques. Do they know how to do the Agile engineering practices? Have they used many different retrospective techniques? What about Innovation Games? Estimation and planning tools? If your coach has less than five years of experience with Agile techniques, chances are they don’t have the depth to deal with the complexity of your situation. An Agile coach needs to be able to explain how they have failed to achieve results in at least one case, ideally getting fired as a result. Failure and learning from failure are critical parts of the Agile framework. If an Agile coach can not share with you a significant failure then you cannot trust that they are able to learn from their mistakes. Helping teams, groups and organizations become more Agile requires systems thinking and systematic approaches. Organizations are complex (and sometimes chaotic!) – if an Agile Coach does not know how to deal with this complexity, and cannot describe to you their systematic approach, then they probably aren’t going to be consistent in their results. And if the approach they describe doesn’t seem to make sense to you, you are probably right to give that coach a pass. This mistake is a little less common, but it is important enough that it still needs to be mentioned: your organization absolutely must have clear goals for the Agile coaching. Those goals should be related to both Agility and business results. Agile techniques are a means to an end. Lacking clear goals often results in an organization spending far more than it needs to on Agile coaching. (Or the other way around.) Coaching and training are two completely separate disciplines! It is rare to find an individual who is able to do both well. The systems and techniques of coaching are different than those of training. Becoming excellent at one, takes many years of focused work. Becoming excellent at both, takes deep commitment and opportunity. If you hire an Agile Coach who has good experience, don’t just assume that they can do training just because they have delivered a few talks or made up a slide deck. Put the same discipline into hiring an Agile trainer that you would put into hiring an Agile coach. This is probably one of the biggest mistakes of all! An Agile coach must work with your organization’s leaders to have any hope of helping you with lasting change. No matter how large your organization, the culture is set by leadership, Agile has a huge cultural impact, and your Agile coach needs to be able to link the two together (leaders and Agile culture). Even if the Agile coach is “just” working at the team level, a lack of contact with leaders will make the coaching work inefficient, frustrating, and unsustainable. Your organization deserves the best chance it can have. Consider contacting us at BERTEIG to help you make sure your Agile coach (or Agile coach candidate) is up to the challenge. We have a systematic program to develop Agile coaches. At the 8th Annual Agile Conference, held in Toronto, Ontario last week, the keynote speaker Doc Norton presented some insightful ideas on Host Leadership, about the roles people take when initiating, launching and facilitating new ideas. The basic premise of having a Host Leader mindset is to be fluid with the needs of the environment. While there is a time and place for authoritative decision-making, otherwise called gate-keeping in Host Leadership lingo, there is also a need for a humble approach to supporting an idea from conception to fruition without clinging to hard-and-fast expectations about what must happen. In brief, here are the 6 key aspects of Host Leadership. Initiator – The person that provides the initial spark. A new idea. Inviter – Extends the invitation to people who may be interested in the idea. Who to invite and who not to invite. Space Creator – Those who create the physical and emotional space for those in attendance to feel safe, to learn, and to engage in the opportunity. 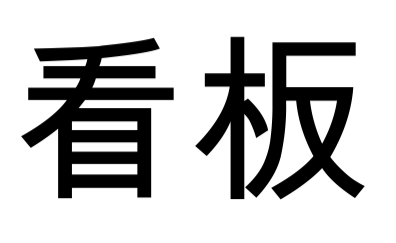 Gate Keeper – Defines and protects the space which is created. Lets people in and out as necessary or appropriate. People who enforce the rules, doing interviews and hiring. Note: there is a right balance for this where there is not too much gate-keeping but just enough to create the right boundaries. Connector – Brings people together. They are conduits for information. They are typically the ones who know how things get done. Co-participator – Team leads participating in a retrospective as equals. Sometimes the Host Leader sets and reinforces rules, but sometimes they serve others. This depends on the moment and context. Doc Norton laughed at his own story when he revealed that even though he and his wife put lengthy effort into creating “Euchre Night” he discovered that in the basement a large group of guests started playing poker. Rather than becoming disgruntled about the change, he adapted and became a co-participator. As a result of letting what was becoming just be, the neighbours found themselves carrying out Poker nights monthly for a decade. Host Leadership is about creating space for great things to emerge and surrendering the inclination to control the outcome. These six items are aspects of roles of everyone on a team and shouldn’t be thought of as one person per role per team. Instead, when people on a team ebb and flow around these roles the thought-processes and discoveries can be shared with the team, and the growth on the team supports the initiatives for team members. What were his concluding words of wisdom to the audience? The take away from this inspiring opening address was the optimistic message that what is becoming may be better than anything anyone could have hoped for. Last week, conversations in the Scrum Facebook Group clamoured around the topic of Agile Product Development and Agile Project Development or Management. To be honest, when I posed a question on the topic I had a hint of its significance but did not have even a glimpse of the depth of this can of worms until many more conversations, online and offline, and research on websites and YouTube on the topic. One respected coach said to me that there may be no bigger issue than this in the Agile industry. Well then, let’s explore it a little bit. Here I’m including three links which Facebook group members recommended. I hope these links may also be useful to other new Product Owners who are grappling with the concept of “no projects” in their work environments. This is undoubtedly by far the very best Product Owner video I’ve seen to date. It’s just 15 minutes long. The speaker is clear and easy-to-listen to. The graphics are descriptive and simple despite representing complex ideas and systems. I came away from this video with a much more thorough and concrete understanding of the role of Product Owner. “Agile Product Management with Scrum: Creating Products that Customers Love,” by Roman Pichler. This book is recommended by a fellow Scrum enthusiast. 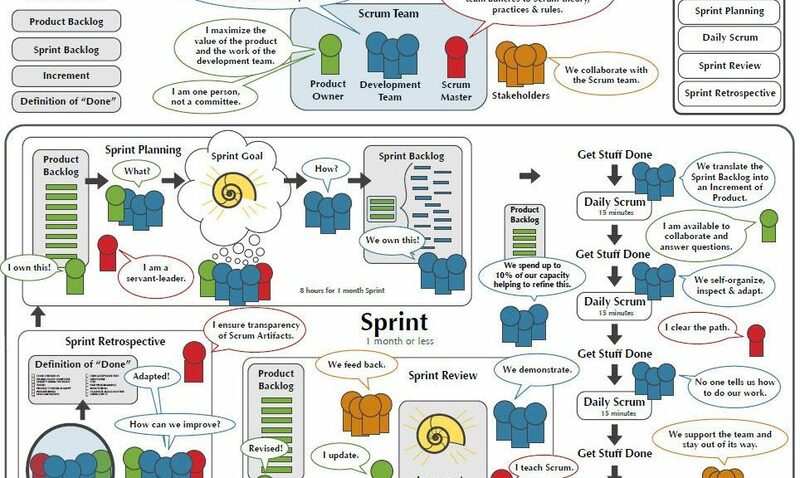 Amazon describes it in this way,” In Agile Product Management with Scrum, leading Scrum consultant Roman Pichler uses real-world examples to demonstrate how product owners can create successful products with Scrum. He describes a broad range of agile product management practices, including making agile product discovery work, taking advantage of emergent requirements, creating the minimal marketable product, leveraging early customer feedback, and working closely with the development team. While I haven’t had the chance to read it yet myself, I find it reassuring that a renowned author addresses this important topic and offers his valuable insight into the conversation around Product Owner and Project Manager. On September 09, 2016 a blog post about User stories addressed this very relevant question. The first line states, “User stories can be considered the basic units of work in organisations using an agile approach to product development.” I found this post and this website very useful in understanding the importance of user stories and how these fundamentally shift work process around delivery of value to customers. Leading an organization to Real Agility requires that you communicate the vision for change throughout your organization. This video introduces the four key concepts of communicating this vision for change as you and your executive team lead your organization to Real Agility. Continuous communication at every opportunity: every meeting, every phone call, every email, every presentation! Simplicity of the message: short, jargon-free, concrete. An emotional component that encourages a change in behaviour. The books by John Kotter about organizational change are all excellent… for leaders, I particularly recommend “Leading Change” and “The Heart of Change”. For a short version, here is an article by Kotter about the need to communicate the vision for change constantly! A fun comic about communication at xkcd – it’s a bit hard to follow, but the punchline is brilliant. We strongly recommend investigating the Certified Agile Leadership training delivered by Michael Sahota in collaboration with BERTEIG/WorldMindware. Please subscribe to our YouTube channel to receive notifications when each new video is published! (There are 15 more videos coming in this series, and more beyond that on other topics!) You can also find the summary article that helps you find all the videos and additional references here: Leading to Real Agility – Introduction. Mishkin Berteig presents the concepts in this video series. 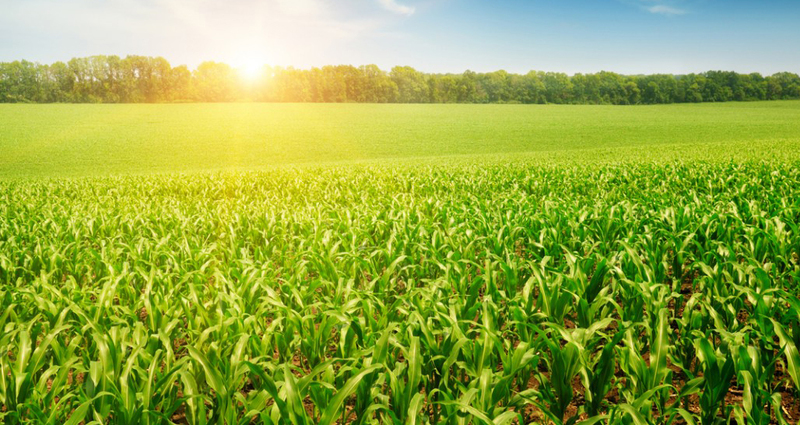 Mishkin has worked with leaders for over fifteen years to help them create better businesses. Mishkin is a certified Leadership Circle Profile practitioner and a Certified Scrum Trainer. Mishkin is co-founder of BERTEIG. 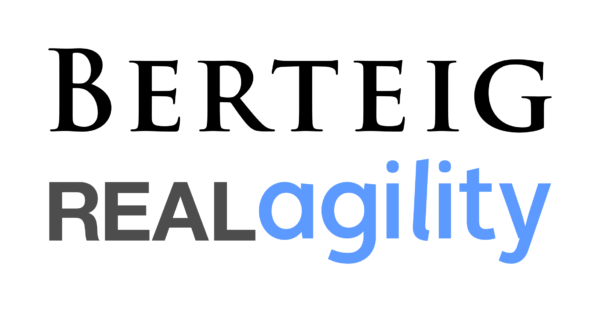 The Real Agility program includes assessment, and support for delivery teams, managers and leaders. This video, newly released on BERTEIG’s YouTube Channel, reminds leaders of their responsibility to communicate the vision to their organization. Check out the 2-minute video for valuable insight into the process. What I like the most about Agile-thinking is the principle of taking action with very little planning. This philosophy of learn-as-you-go creates space and time for the team to experiment with ideas to create a successful product. 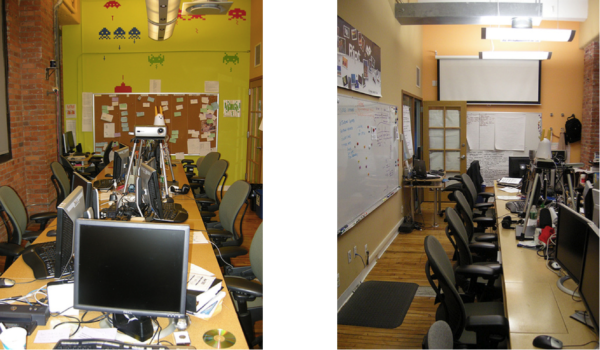 For the past year, I have participated in an agile experiment of sorts. Basically, the goal was to write a weekly newsletter. But more specifically, the intention was to create meaningful content to readers of the newsletter which would empower them to continue to make positive change in their organizations by applying Agile methods. Six weeks after starting the newsletter, I attended my first Certified ScrumMaster (CSM) training in Toronto, Ontario. At first, I thought I could manage the newsletter content and delivery using Scrum. I quickly realized I couldn’t. 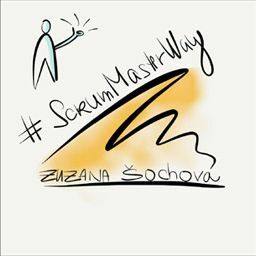 Even if I viewed myself as a ScrumMaster, I wasn’t working on a Scrum team. There was no Product Owner. It couldn’t be run using Scrum. However, I realized something essential that I could glean from Scrum and that is the idea of Sprints. I realized right away that if I viewed the creation and delivery of the newsletter in one-week Sprints I likely could be successful. And indeed, this application of a Scrum method was extremely useful. Thinking about delivering a newsletter in one-week Sprints helped me to think about the smallest amount of content which could be easily and predictably delivered weekly. As my capacity, and the capacity of the team improved, so could the level of complexity also increase. As the level of complexity increased, the newsletter itself improved in quality. I would like to write more about how a newsletter can be created and distributed using Sprints and other Agile methods because doing it this way helped me to stay adaptive & flexible as the newsletter was refined. Understand “Done Done!” – Before CSM training, the newsletter was “done” when I pressed ‘send’ on my computer. When I better understood the meaning of “Done Done” in a Sprint I changed my thinking and behaviour. When I sent the first draft to be proof-read, this was “Done” and when it was returned to me edited and when I did final revision then it was ready for scheduling. When I pressed “Schedule” then the newsletter was “Done Done.” I would plan to schedule the newsletter three days before it was expected to be released. That gave me three days of ‘buffer’ to accommodate last-minute changes, if necessary. I was learning to become more Agile. Learn to Accommodate Last-Minute Changes – If last minutes changes cannot be easily accommodated, then the product delivery is likely not Agile. When I started creating and distributing a weekly product, with the expectation that things could change at any time then I learned to establish a “bare-minimum” which could be produced even if changes occurred. This gave me the ability to be flexible and adaptive and much more Agile. 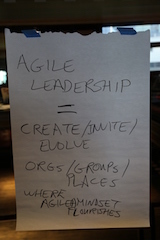 Be Agile; Don’t Do Agile – When I went to CSM training, I thought I would learn how to do Agile things on my team. When I completed the training and started applying Sprints to the weekly distribution of a newsletter, then I realized I must “Be” Agile in my approach, in my communications, and in my creation of the product. I learned that Agile is really a state of mind and not a “thing” at all. Agile is about continuous action, reflection and planning with an open-mind and a readiness to always learn and grow and change. Action, Reflection, Planning – Before using one week Sprints, I didn’t give myself enough time to reflect and plan the next Sprint. I had a backlog with enough items to keep me busy for 6 months. My work-in-progress was a nightmare and unmanageable. I had four weeks worth of drafts saved and often got confused between what content was going out when. 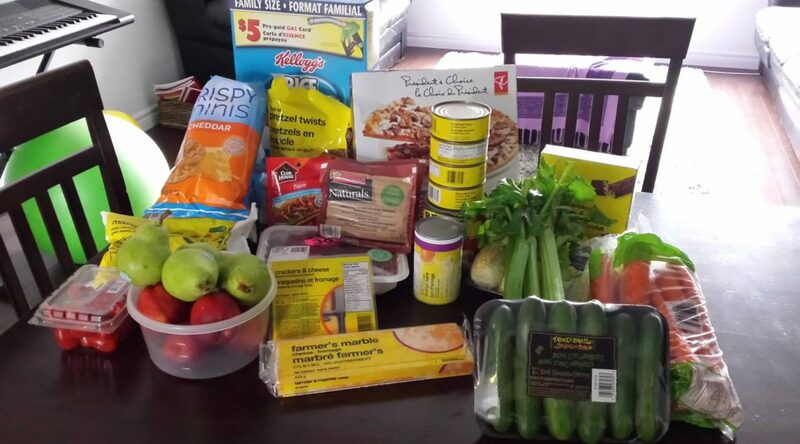 Establishing a regular weekly cadence helped me take control of this “mess” by just taking small action steps, reflecting on them weekly, and using the learning to plan the next steps. This revolutionized my work. Prepare For Growth – When a product is delivered successfully with Sprints, it keeps getting better and better. This leads to goals being met and growth happening on the team. In this case, it lead to increasing numbers of subscribers and the establishment of a collaborative team approach to creating and distributing the newsletter. Without Sprints, without an Agile mindset, I’m absolutely certain the goals would not have been achieved and growth wouldn’t have occurred. But with Sprints, things just keep getting better and better every week. I love it! If you’d like to subscribe to the weekly newsletter I mentioned here, you can do so at this link. When a team starts implementing Scrum they will soon discover the value and the challenge in retrospectives. In other words, retrospectives create a safe place for reflections so that the valuable lessons can be appreciated, understood and applied to new opportunities for growth at hand. With these noble principles in mind, there should be no fear from any team member about the learning, discoveries and occasions for progress. These 5 retrospective techniques may be useful for other teams who are looking for fun ways to reflect and learn and grow. Success Criteria – The Success Criteria activity helps clarifying intentions, target outcomes, and results for success criteria. It is a futurospective activity for identifying and framing intentions, target outcomes and success criteria. 360 degrees appreciation – The 360 degrees appreciation is a retrospective activity to foster open appreciation feedback within a team. It is especially useful to increase team moral and improve people relationship. Complex Pieces – Complex pieces is a great energizer to get people moving around while fostering a conversation about complex systems and interconnected pieces. Known Issues – The Known Issues activity is a focused retrospective activity for issues that are already known. It is very useful for situations where the team (1) either knows their issues and want to talk about the solutions, or (2) keep on running out of time to talk about repetitive issues that are not the top voted ones. 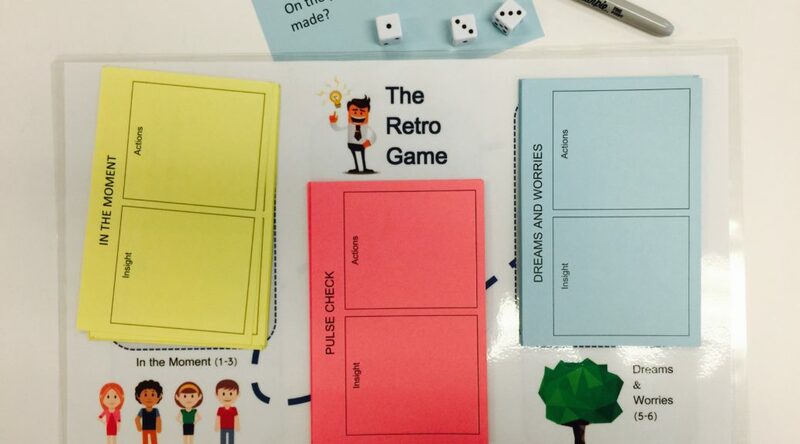 Among all the components of Scrum, retrospectives are one of my favourites. A properly planned, efficiently executed, and regularly run retrospective can be like the glue that holds a team together. My first experience in running a retrospective had surprising results. We were working in a team of five but only two were present in the retrospective. Not only that, but of these two, neither could decide who should be running the retrospective. To be clear, this was not a Scrum team. But it is a team who is using some Agile methods to deliver a product once a week. Retrospectives are one of the methods. So without a clear ScrumMaster to facilitate the retrospective it was, let’s say, a little messy. Despite all this, there were some positive results. The team had released a product every three weeks with success. The retrospective on the third week revealed challenges & progress, obstacles and opportunities. The method used was the format of a Talking Stick Circle, where one person holds the floor and shares their reflections while others listen without interrupting and then the next person speaks and so on. The major learning was that there were decisions to be made about who was doing which task at what time and in the end the direction was clear. Enthusiasm was high and the path forward was laid. The retrospective was a success. The most remarkable part of the experience was hearing what was meaningful for others. When both people could share what they valued, hoped for and aspired to with the project it was easy to see what could be done next, using the skills, capacities and talents of team members. For more resources on agile retrospectives, check out this link.